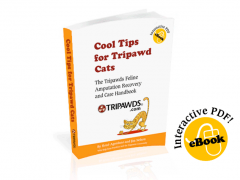 Tripawds Downloads » Conservative Management alternatives to canine knee, joint, leg and ligament surgeries for three legged tripawd dogs and cats. A Tripawd pawrent’s biggest fear is for something to happen to their dog or cat’s remaining three limbs. While many Tripawds members have gone through major leg surgery after amputation, such as TPLO and FHO surgeries, members say the recovery process is even more challenging than amputation recovery. If your vet is recommending a major ligament, knee or leg surgery on your Tripawd, take the time to get a second opinion, preferably from a veterinarian who is certified as a canine rehabilitation therapist. A rehab vet might recommend a nonsurgical alternative called “conservative management” which has helped thousands of dogs recover from ligament injuries without surgery. While this approach takes dedication to following your rehab vet’s orders, and it might not necessarily cost less than a surgery, conservative management can help make life a lot easier for both you and your dog. The following 2010 Whole Dog Journal article called “Alternatives to Canine Surgeries” highlights the basic facts about taking a non-surgical approach to your dog’s knee, leg or tendon injury. Download it below with this link, which will take you to a page where you can download the PDF. 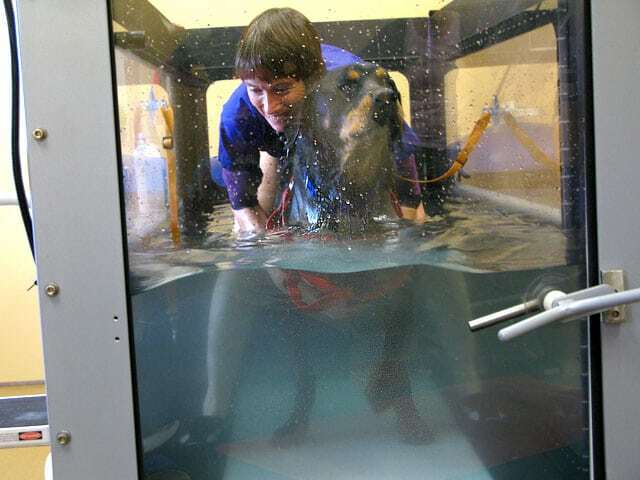 The University of Tennessee’s Outreach and Continuing Education Department (in conjunction with Northeast Seminars), which grants a Certified Canine Rehabilitation Practitioner (CCRP) certificate. Have you and your Tripawd coped with a major surgery after amputation? If so comment below and share your experience with us. Please be aware that we are not veterinarians. The information presented here is not meant to be construed as medical advice or guidance, nor should it be substituted for professional veterinary assistance. Always discuss any remedies and treatments you wish to pursue with your veterinarian. 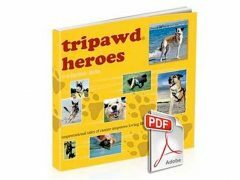 Tripawds is a user-supported community; all purchases made here help us continue providing resources and support to our Tripawd families. Thanks for shopping at Tripawds! I did have to have reconstructive surgery on my existing rear leg after my amputation and my mom said the 2 mos recovery was really really hard because she was my mobility for 2 mos. Being a GSD I really don’t like help so that made it even more difficult, but somehow we survived. Thank you so much Tripawds for this article and its links, thru the links my mom just found a local CCRT that will come to the house and give us sessions so she can continue on with my physical therapy to help me become even stronger! She is so excited! Oh Hannah, I’m so hoppy this helped your Momma and you! I can’t wait to see how much stronger and agile you get! Woo hoo!